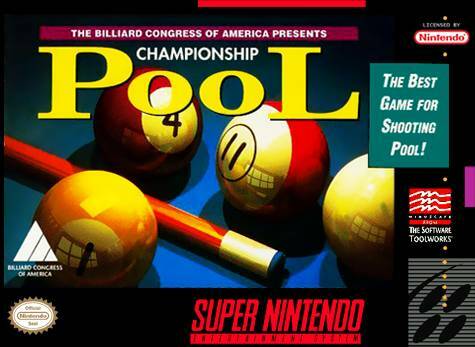 Championship Pool for Super Nintendo features realistic pool playing outside a pool hall. Endorsed by the Billiards Congress of America, you can play 15 different variations of the game. Play against the computer, a friend, or up to eight in the Pool Party.